Birthday party themes are getting more and more creative, if not expensive. Children love it and we parents are delighted to indulge them and gush over the details. There is however, a simple yet delightful to the heart way to celebrate it. An advocacy party, perhaps? Advocacy kiddie parties or socially responsible parties are thankfully creeping up in the local kiddie party social stream. I got 2 invites to a party and at the end of the invite I am asked to donate to a chosen charity instead of giving a gift to the child celebrant. An advocacy kiddie party (not the official term, I just coined it, I searched the net and there is no term for it), is a party that celebrates the special day of your child by supporting a certain cause, group or person. It can make a difference with your child, the guests and the causes you have decided to support. To organize one, first you have to have the birthday celebrant agree to the idea. It is still his birthday party after all. Casually drop the idea of a party that is fun for him and his friends yet will help those in need (can be a person, or possibly even anything related to mother nature). Be prepared to be coyly turned down. I broached the idea to my 10 year old son and he shyly (it is quite embarrassing to turn down someone who needs help) said "Maybe not yet, mommy." Respect their decision and mention it the next year. In time, they will probably warm up to the idea. If the celebrant is receptive to the idea already, engage him and the entire family in suggesting causes and ideas to celebrate it. At the end of the party, congratulate him for helping make a difference. The donations can be in the form of old/new toys/clothes, books, canned goods or even money. Give your child a short list of charity institutions and help him pick out one. You can ask your chosen charity what they need. 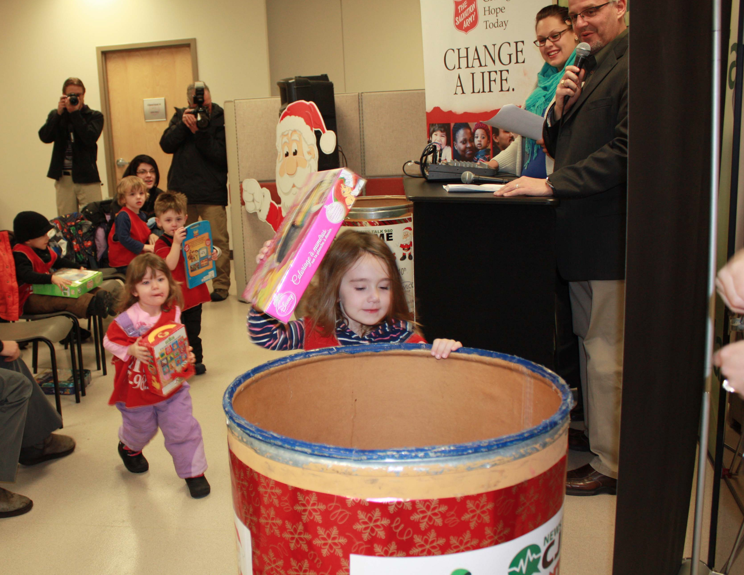 You can set up a box where children can drop off their toy donations. You can do this ceremoniously like they can state a wish for the birthday celebrant and a wish for the child they wish their toy would end up with. In your invite, don't forget to mention that the birthday celebrant has chosen that in lieu of gifts, he would prefer donations to his chosen charity. State the charity so the guests can give accordingly. Let your child be present when you drop off the donation. How much do we budget for goodie bags, nowadays? P100? P200? And how soon do kids forget about it? A day or maybe even less. Instead of spending for the goodie bag, give the amount saved to a charitable institution and print a certificate with your child and the guests' name on it certifying his contribution. Or you can also opt to give a small toy/token to the guests and attach a card that informs them that they have helped the celebrant give to his chosen institution. Scout an area where your child and her friends can plant seedlings. When the children arrive, give them their seedling packets and a small shovel. Prepare a wooden tag where they could paint their names on to identify their tree. Note: TheGoMom's assignment, find spots where you guys can plant a tree. 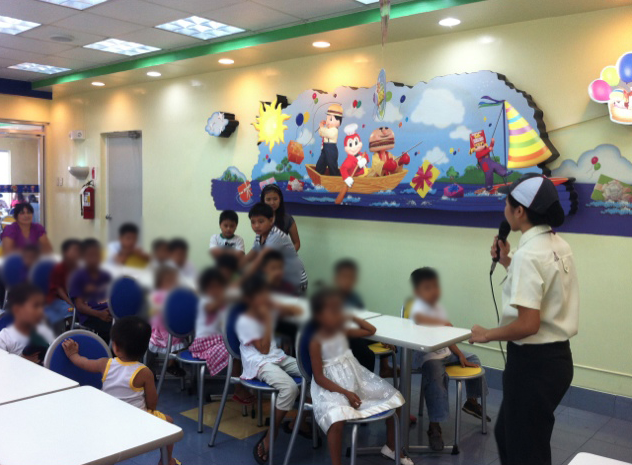 Jollibee, the fast food restaurant everyone loves is a good venue to invite and entertain a group of underprivileged children. The kids are excited with the food, happy with Jollibee mascots and host and at home with the venue. Or, should you decide to do it at the institution site, Jollibee is capable of delivering its favorite langhap sarap treats to ensure not only hearts are happy but also the tummy. You can book your Jollibee Advocacy Kiddie Party without leaving your seat at www.jollibeeparty.com. With a lot of people in need, I’m sure there are a host of ideas to help. I will do my own research and fill you in as I go along. I will particularly research on how kids can get involved with Gawad Kalinga. Or if you do decide to do an Advocacy Kiddie Party please fill us in on how it went for you, the guests and yours kids. 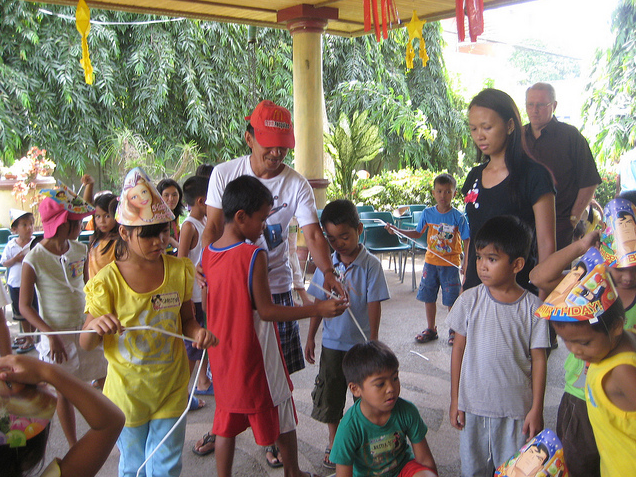 Advocacy Kiddie Parties can be a fun way to celebrate a party and teach everyone, especially our children and their friends, to share their blessings to those in need. Truly, a party with a difference. Disclosure: This is the fifth of a series of 6 party planning blog posts sponsored by Jollibee. Thanks to Jollibee for sponsoring this post written by TheGoMom.